rings and flowers at wedding close up detail image. 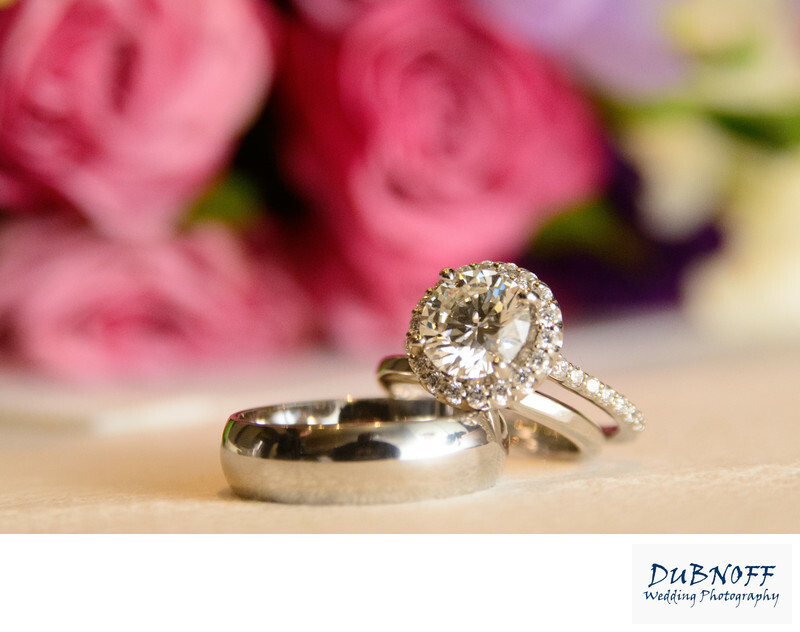 We know that our wedding couples love detail shots at their marriage ceremony. This is especially true when the couple decides to include a reception for their guests as part of the days festivities. Brides go to great lengths to decorate their wedding reception with many details that are important to them. For us to be the best city hall wedding photographer possible, we cannot ignore these details. Thus, we spend a considerable amount of time during our marriage shoot documenting all of these decorations. We use our close up lens to great advantage and often light these "still life" subject with soft light source such as a umbrella flash unit or soft box.